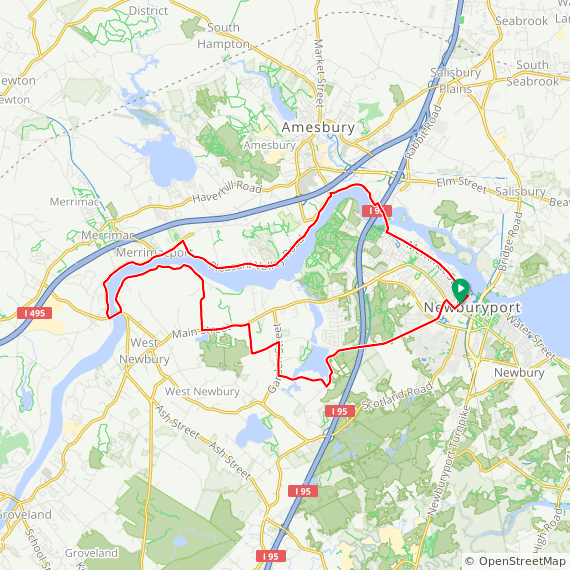 The ride heads out on Newburyport’s elegant High Street to Maudslay State Park, then crosses the Upper Artichoke Lake before doing several scenic miles along the river. The short ride turns back on some of our favorite roads. 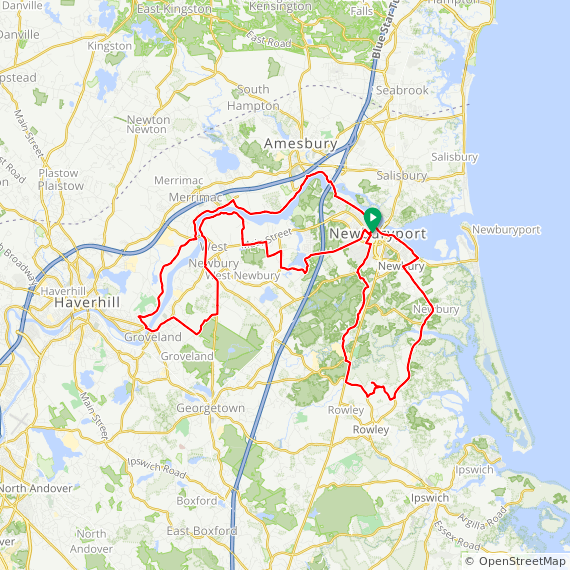 The medium and long rides follow the river to Groveland where they cross the river, then follow the north side of the river back to Newburyport. The long route continues on Rt. 1A to Rowley; then returns on Central St, a nice stretch of Rt. 1, and other local roads back to Cushing Park. 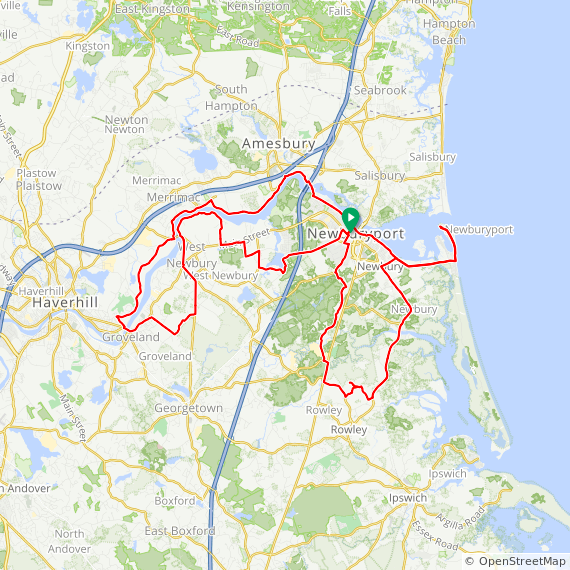 The extra long route includes going out to the Newburyport Harbor (Plum Island) lighthouse and back. Very scenic stretches along both sides of the Merrimack River.